Co-published by Book Works with The Arts Catalyst. 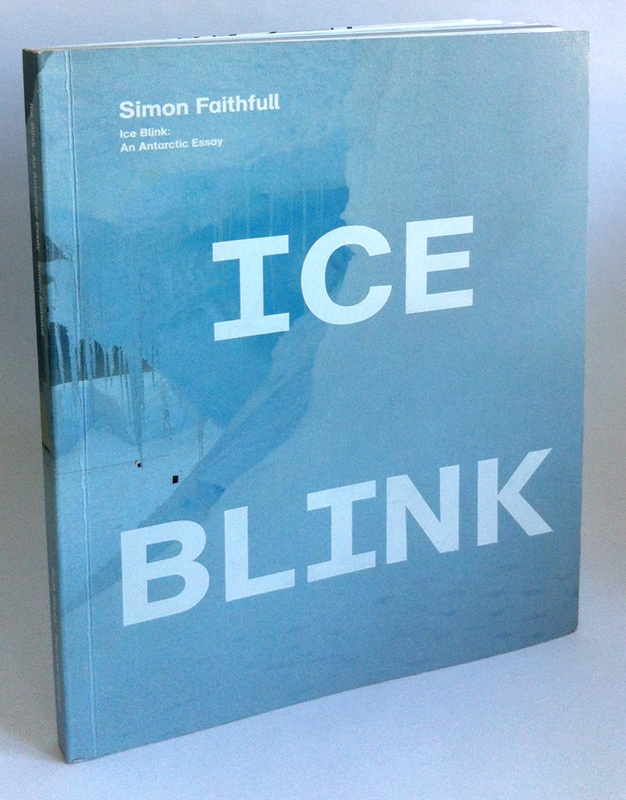 The Ice Blink book was published by Bookworks is a paper version of the performative lecture by the same name. ‘Traveling to Antarctica on RSS Ernest Shackleton from RAF Brize Norton via Ascension Island and the Falklands, Simon Faithfull recorded the displaced and disorienting world he encountered by filming the view out of his cabin porthole and with daily Palm Pilot drawings, transmitted each day to email inboxes around the world. Combined with diary entries and notes, these drawing and films have been incorporated into a series of lectures presented in Edinburgh, Helsinki, Norwich, Berlin and London.